This week, in a continuation of Kane, we’ll be looking at the career of co-founder Steve Carlson. For the most part, Carlson’s music is filled with easy beats and soft emotions. In addition, his voice is a husky mixture of smooth whiskey and jazz. 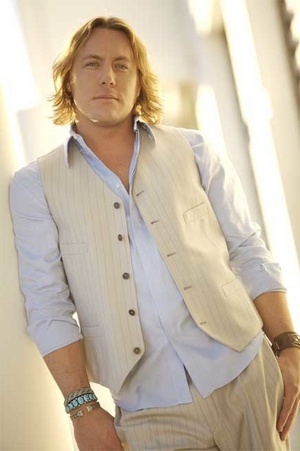 He has had albums released both with the Steve Carlson Band and as a solo artist, in addition to his work with Kane. Carlson has also worked with a special someone that is this month’s theme. I wonder who that could be? First up is the 2005 album Spot in the Corner. 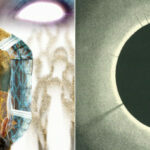 The harmonies provided in these songs are wonderful. The vocals and instruments flow together with a warmth that makes it impossible not to smile. The song “I’ve Learned to Love” has a nice piano thread running through it, coupled with the lyrical promise that he’s getting better even if he lost his chance with you. The title track is almost stripped down to its very basics, with just vocals and strings dominating the song, and that’s definitely something that I can appreciate. And fans of Kane will know well the song “Pinata Novia” and it doesn’t matter how many times I hear it, I love it just the same. “Ballad of Denim Boy and Grey Girl” plays forth with a wonderful story of two people in love, singing the ballad of their relationship and taking us back to the memories of summer love of youth. And of course I love “Come Around More Alabama” and it’s not just for the harmonies, I promise. The instruments don’t overtake the vocals and the main track of Steve is enhanced by the harmonies rather than being overtaken by them. 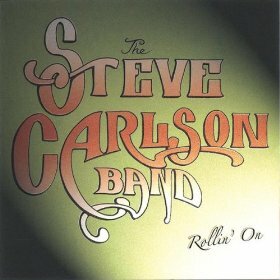 Following up the same year was The Steve Carlson Band’s album Rollin’ On. There’s a definite increase in brass instruments on this one. I have to say that the blend of music on this album might be preferable to me, though I like them all. “Hummingbird Billy” is a jazzy, fun mixture of lyrics and instruments. You can’t help but dance while listening. The title track’s instrumentals have me so fascinated that I often have to go back and listen to the song for a second time just to pay more attention to the words. “Wasted Jamie” returns to the stripped down lyrics and strings that I liked from the first album. And the harmonies are definitely a plus. Another wonderful addition to the album is “Rocking Chair” as its main thrust is Carlson’s lyrics with a compliment from the instrumental track behind him. And the song that might be the most unlike the others is “Nonstop Lady” as it’s not soft or slow, but instead has an infusion of rockabilly, fast-paced lyrics and music to make you definitely get up on the dance floor. 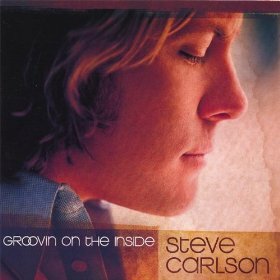 The next year Carlson released another solo album, Groovin’ on the Inside, which you may notice as a lyric from the song “Wasted Jamie.” There are repeated favorites, as well as much more secondary vocals, but there are also some new tracks that are notable. “Wonder of My World” and “I Don’t Want To Know” have a strong track of backing vocals and music, but they well support Carlson’s main track. I like “I’ll Remember You” because the piano beat is prominent, which often difficult with the amount of vocals and other instruments that contribute. “Don’t Move On” actually strips back to the basics and, on an album that has so much else going on, that’s a breath of fresh air. If I had to choose a favorite track, I’d probably say “If It Ain’t Easy” because it best features Carlson’s voice and the lyrics combine with the music to make it more like a party. 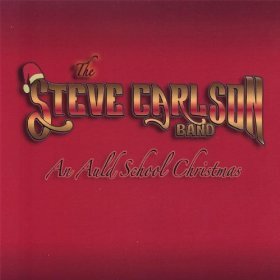 In 2007, The Steve Carlson Band released a 6-track Christmas album called An Auld School Christmas. This is not your usual holiday album, though. With tracks such as “Run, Run Rudolph” to urge our favorite reindeer, it’s definitely got a different seasonal tone. 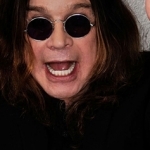 The album also boasts traditional tracks such as “Have Yourself A Merry Little Christmas,” “Silent Night,” “Jingle Bells,” and “Auld Lang Syne” with their own twists to make them unique. 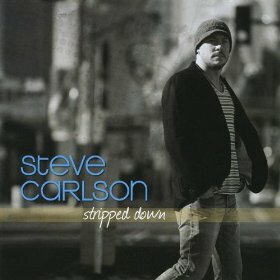 The next year Carlson once again released a solo album, this one titled Stripped Down. The album does what it says; it is a stripped down album where it’s mainly just strings and vocals. I tend to be more pleased with this combination, so this album ranks high on my list for that reason. “Be My Baby” reminds me of Dirty Dancing, old school, so hearing Steve Carlson sing it is ideal. The entire album is filled with treats because you can listen to the story being told in tracks such as “Just Another Goodbye” and “Safe To Say” because it’s simple and one-on-one. 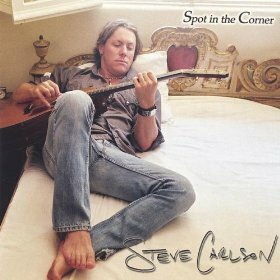 The harmonica opening and the entire song of “Love Me or Leave Me” is just perfect, as is the smooth “Where My River Flows.” This is Steve Carlson at his best. 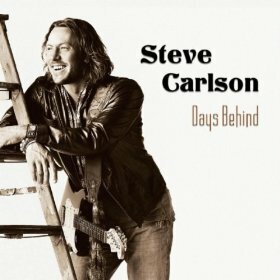 And earlier in 2010, Steve Carlson’s album Days Behind came out. The beats for this album is much faster than previous ones, but it just amps up your enthusiasm. 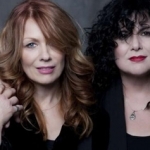 “Don’t Go” and “The Right Direction” will have you tapping your foot and rocking out. I enjoyed “Pretty Little Lady” because it’s almost a throwback of previous beats that Carlson has more than proven he can support. “Out Here Alone” has a snap beat, which you often don’t get in a full album, so I appreciated that addition. And the instruments on “Where I’m Goin’” gives it a flavor that sets it apart from the rest on the album. The title track, often the song I weigh more heavily than the others since it’s carrying the entire album in my mind, does well on this go-around. It ties everything together and sends you off satisfied. I’ve followed Steve Carlson’s music for quite a while and I look forward to seeing the new releases he will provide his fans. 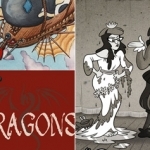 Until then, there’s plenty of old favorites to revel in.